Ultrasonic cleaning is often only one step in a complete cleaning or surface finishing process. 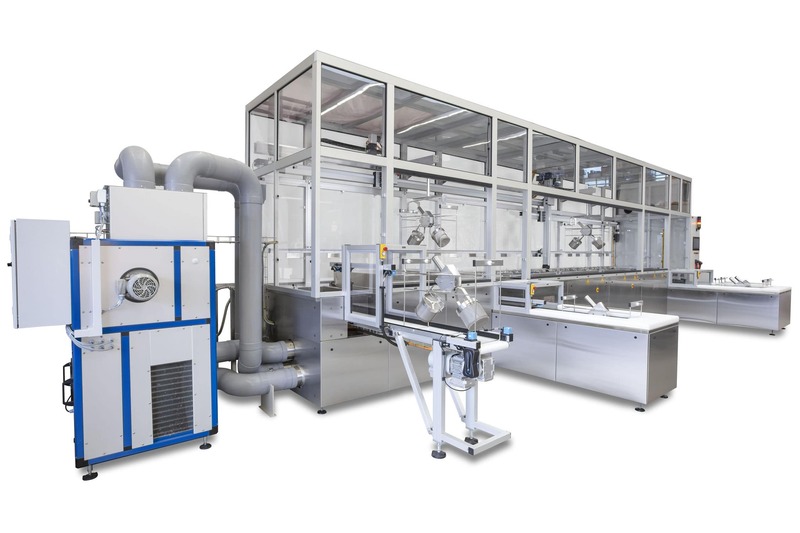 Customized design and construction of automatic linear systems for ultrasonic cleaning, rinsing and drying or other processes such as passivating, electropolishing is one of our core competencies. An integrated, automated transport system ensures maximum reproducibility of often very demanding processes. The high-performance systems are equipped with industrial control systems, which allow to record and edit all process relevant data. They therefore enable an integrated or external data management. The systems are equipped with the KKS’ proprietary SINGLE, DUAL and MIX ultrasonic technology. They are successfully used in various industries for cleaning, passivation, electropolishing.